If you like the Google Maps app for Android and you wonder why it looks better than the desktop Google Maps, there's a new experimental interface that uses WebGL and it's available in Chrome 14+ and Firefox 8+. If you click "Want to try something new?" in the Google Maps sidebar and enable MapGL, you'll see a completely new Google Maps interface that shows 3D buildings and no longer uses Flash for Street View. "We've rebuilt Google Maps from the ground up. 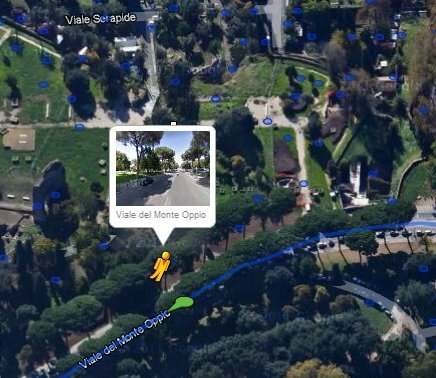 Our enhanced Maps provide improved performance, richer 3D graphics, smoother transitions between imagery, 45° view rotation, easier access to Street View and more," explains Google. Google says that the new interface requires Chrome 14 or Firefox 8 (beta), Windows Vista/7 or Mac OS 10.6+ or Linux and a graphics card that supports WebGL. I've tested in Chrome 14 and it works well: the animations are smooth and Google Maps looks more like a native app. It's a pity that 45-deg views are available for just a few places only. Anyway, great! DO NOT try this under OS X 10.5.8, even though it lets you. It crashes the entire system to the point of literally throwing random bits of garbage all over your screen. Its probably not the best place to post this b I guess I got a bug on the tour applications part, I was watching the coliseum part and them change to satellite view, the TAG attached to the "rotate the map 90°" jumped up to the search field .. and when I click in "restar the tour" I got a "sorry, we cant guide you right now. Please try again later" as I was at the street view 6th. The application end up guessing it would be too slow to me to use WebGL, it sure could be a little more smoothly but it was fine though. Fails under Chrome 15.0.871.51 running under 64bit Linux (Ubuntu 11.10) with an ATI graphics card and native drives. Google Maps says that it's determined that my system does not meet the requirements. Mac OS X 10.7.2 Chrome 16.0.904.0 dev - didn't work ! Is there a way to make it work it work on a new MacBook Air? Mac OS X 10.6.8 + Chrome 14 = working perfectly. Works beautifully over here, Firefox 10 nightly, 64 bit Ubuntu and ATI fglrx. I tried Chromium, but it didn't seem to support WebGL, even when I tried force enabling it on the commandline. It seems to be turned off for a new Macbook Pro / Lion / Sandybridge GPU (HD3000). That's a shame - I expect the card is capable and it works for other WebGL sites. the 45 deg angle view is great to get idea of landscape. works well in chrome. I wasn't able to get the option to show up in Chrome to enable it normally, but going to it from the big blue button on ChromeExperiments got it to show up. Since there's no URL params my guess is maybe some sort of referrer detection on the server to force it when the origin is chromeeperiments. 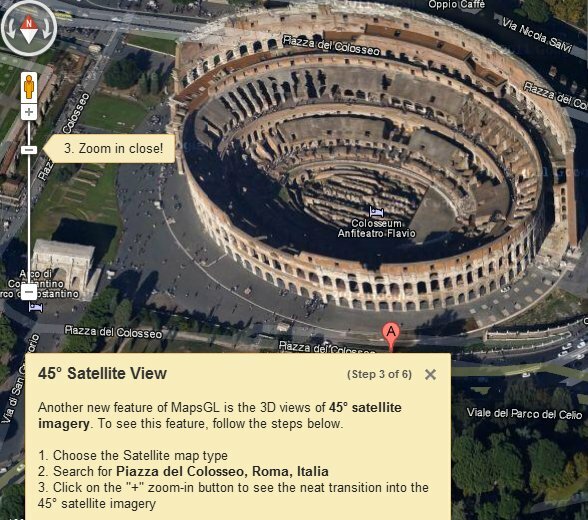 The new version of Google Maps is so cool. It seems the added shadows to the grey buildings, and the shadow is moving following the sun during the day time. doesn't work well on a new Asus desktop, windows 7. Need to find out how to switch it off. 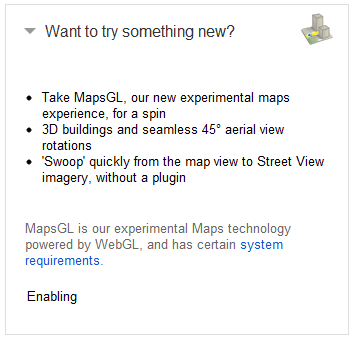 how do i remove the webgl setting from google maps? i cant browse google maps any more on my browser (linux with firefox 9 and webgl setting). there must be some cookie or stuff to undelete as i cannot browse maps.google.com any more as it immediately and all the time crash my firefox browser on my ati based opensuse 12.1 system. please help advice. thanks in advance. Delete the cookies for google.com (or your local Google domain) and the WebGL version will be disabled. Works great on desktop with Windows XP with Radeon 6870. It's beautifully anti-aliased on the Macbook Air, but it's ugly pixellated lines at zoomed view on the Windows XP system. I can't find a setting in my ATI Catalyst to force AA on for OpenGL applications. some of my map data didn't transfer when i enabled the MapsGL. specifically: color-coding applied to polygon shapes that i overlaid on a city do not show up now. some of my customized map data DID NOT transfer when i enabled MapsGL. specifically: my polygon shapes appear but they are not color-coded. in fact, now i can't even create new shapes or lines over my map area. wth google? okay, so i CAN actually create new lines and shapes now. however, i still CANNOT apply custom colors to the polygon shapes. Why webGl doesn’t work in firefox 11 and works in Chromium (ubuntu10.04x64). If it works in Chromium therefore the system matches system requirements but in Firefox they say it doesn’t?